All iPhone fans were waiting for the event held on 12th Sept 2017 eagerly because iPhone X was about to unveil on this day.People were trying to find clues about the exciting new features and there were a lot of rumors making it so impressive as if it would have if everything announced on Tuesday had been a surprise.Here are top features of iPhone X that blew people away. People had an idea by imagining that there would be OLED display, changed showcasing and wireless charging. 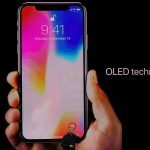 iPhone X is the first iphone product that have OLED display.Its dimensionally 5.8 inches diagonally.According to to your surrounding environment and lighting it adjusts its color temperature giving a true tone screen. Due to advancement in technology Apple introduced a concept of Face ID.This is done by creation of digital map of face which is used afterwards for unlocking.This featues still works with natural changes including grown beard, change in hairstyle or with/without glasses. iPhone X includes a fun feature named “Animoji” for animated emoji.It uses new true depth front camera to make customized emojis.These emojis are basically the morror of your expressions. The most exciting feature is wireless charging.This could be done by placing iphone on a compitable mat.This mat can be used for charging an apple watch and Airpods.This all could be charged at the same time! Isn’t it cool? Ever heard of Augmented reality?Here it comes in iPhone X! For higher quality photos and better gaming results, a bionic chip is powered in iPhone X that also give better power augmented reality experiences.Beside these Top 5 features of iPhone X, there are many other featured introduced in iPhone X including improved battery life better canera result,p ortrait mode and no home button making the screen look bigger and giving iphone a good look. Beside these Top 5 features of iPhone X, there are many other featured that have been newly introduced including improved battery life, better camera result, portrait mode, no home button, making the screen look bigger, etc.